Welcome to our discussion with Barry Keno and Jay Kozie, founders of Keno Kozie! The company is celebrating its 30th anniversary as a leading IT consulting firm servicing the legal community, and we wanted to talk with them to get an understanding of how the company started, what they envisioned vs. where the company is today and how the industry has matured and evolved over the years. Q: What is the biggest surprise when you look at the company now vs. what you planned 30 years ago? Barry: Wow, we’ve grown so much more than we originally thought. At the time, I thought it might be nice to have about 10-15 people. Now we’re over 300! Jay: I never envisioned a company of 300+ people, maybe 50. The processes and structure that we’ve built are far beyond my expectations 30 years ago. Q: Tell us about your first office: What did it look like; how many people were there; what were your goals for the company? Barry: We started in a spare office within my father’s suite of offices in Northfield, Illinois. It was just me for a year before Jay joined the firm. We had old and borrowed equipment plus one small computer. There was a fax machine and a borrowed photocopier, a borrowed phone system. Jay: We started with two offices loaned to us by Barry’s father in his leasing/law office. We had metal desks, usually with a server in some state of construction sitting on them. It was very modest, but it met our needs. At that time, we did almost all the work on-site in our clients’ offices, so we would be there early mornings and often until 9:00 or 10:00 p.m.
From the beginning, Barry brought in new clients, and I provided ongoing client relations. We both did the technical work. We also built several good vendor relationships that were a source of new clients. Except for doing the technical work, these roles and relationships continued to be key parts our work for 20 of our 30 years. For me that meant servicing clients and building a personal relationship with them, which was a little easier when you went to their office to do all the work. That part has not changed; we understand the importance of being on-site with our clients and not relying on remote support and access. Q: What made you want to work specifically for law firms? Barry: Originally, we were involved with both law firms and real estate firms (construction and property management). These came mostly from relationships we developed with software companies in those industries. The software companies needed a technical partner to handle the installations and support when a client purchased their product. Jay: We had the good fortune to get referred to a couple law firms early on and built a relationship with Juris, a legal accounting software vendor. Like today, law firms often selected IT firms by asking other firms what vendor they used and if they were satisfied. Fortunately, we (and soon Stan and Sue) worked very hard to satisfy them. The other great part was most other IT vendors avoided supporting law firms; they thought they were too demanding, too difficult to support. It’s not true at all – it was just a matter of understanding their business and that they have deadlines that do not extend because of computer issues. We didn’t hesitate to drive downtown at 11:00 p.m. (or 1:00 a.m.) to work on a problem. They appreciated that. Q: What were the technology needs in law firms when the company was first founded? Barry: Law firms were still using dedicated word processing systems and “mini-computer” billing. We were fortunate to come in just when local area networks (LANs) were becoming viable. We built the business on the design and installation of general-purpose LAN systems that would replace the older technology while providing the attorneys with greater personal computer power. It all has expanded exponentially in scale and access, but many of the fundamentals remain the same. Q: Since the original launch in Chicago, the company has expanded into D.C. and Ohio. How did you choose these markets? Barry: D.C. was a market that we had considered for several years. It is relatively small – and thus achievable – while also having a fair number of law firms. We had some initial clients that had come to us prior to opening the office, and we were able to build on that base once setting up an official office. Columbus was an opportunity to expand our Help Desk business in a fast-growing area with a great pool of talented staff. Jay: We had wanted an office in D.C. for several years before we opened it. A couple of our clients had D.C. offices, and we saw the potential there. Columbus, Ohio, is our second call center for Help Desk services. It was selected through extensive research into the availability and education level of the population and cost of living. We considered five cities (including Belfast, Northern Ireland). Q: Do you see further expansion for the company in the future? Barry: Of course! In addition to further expansion within the D.C. and Columbus areas, there are opportunities in other key cities around the country. Jay: Yes, although we don’t have any immediate plans, we are always looking at expansion. Right now, we are focusing on functionality – expanding the scope of our Managed Services and adding technologies to our Help Desk to make it easier for users to request and receive support. Q: How has the company changed over the years? Barry: Mostly growth. 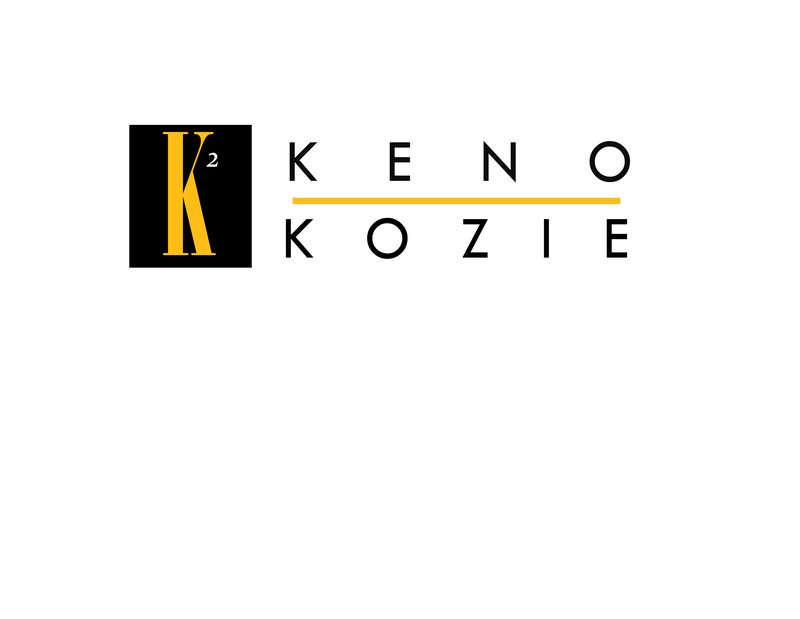 As the industry has evolved, Keno Kozie has changed to keep pace. We’ve added services, built a larger and more diverse professional staff and continued to strive to be a leader in the industry. Jay: Process – you cannot manage and maintain the quality of a Help Desk and Managed Services operation this size without developing and refining processes. Q: How has technology changed over the years? Barry: It has become more powerful and reliable. In the early years, we just wanted the computers to continue to work – fixing them when things failed. Now, we worry less about failure and more about enabling the attorneys and staff to get more done regardless of where they are or when they want to work. Jay: Anytime/anywhere access is the biggest change in my mind. It has facilitated a shift in how we work and our lifestyles – for both our clients and our company. Q: How have the needs of your clients/law firms changed? Barry: Security has become one of the driving factors in the use of technology everywhere, but especially within the law firm. Dealing with sensitive client data requires very strong security systems and processes. Q: You partner with a number of companies in the technology industry. How do you choose which companies to partner with? Barry: Most importantly, they must be leaders in their industry. We can’t take chances with fly-by-night operations or technologies that will not be safe for our clients. If the vendors are strong, then we choose the best company to provide services or products for our clients. Jay: Generally, we collaborate or install their product at several clients, and that helps determine if the company behind the product is one we have confidence in and is structured for long-term success. Q: What do you foresee as the future of technology in law firms? Barry: The continued movement of technology from within the law firm to outside, secure locations/data centers. Keeping the technology infrastructure within the firm’s offices is potentially dangerous and redirects resources that could be more effective in other aspects of the business.